Raval Facial Aesthetics and ENT, PC. 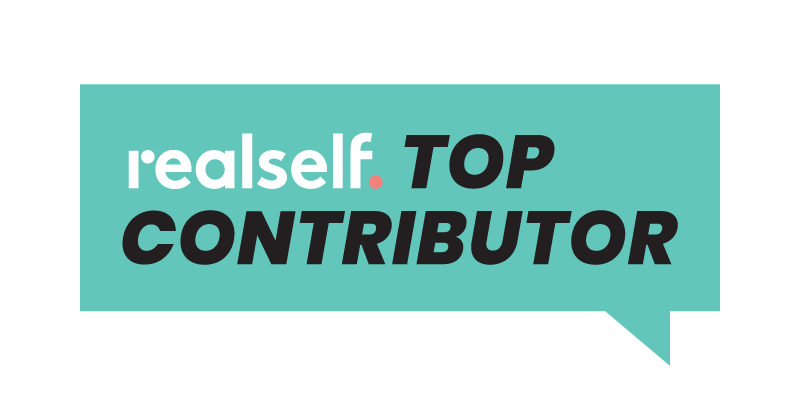 Denver's Top Rhinoplasty, Nose Job, Botox & Facelift Plastic Surgeons. Welcome to Raval Facial Aesthetics. We are one of the leading facial plastic surgery offices in Denver, specializing in rhinoplasty, facelift procedures, Botox®, Dysport® injections and several dermal fillers including Juvéderm®, Restylane®, Vollure®, Juvederm Voluma®, PRFM Hair Restoration, and PRP Facials. At Raval Facial Aesthetics and ENT, PC, you can find the facial plastic surgery treatments and aesthetic procedures that will inspire confidence by helping you achieve the look you’ve always wanted. Raval Facial Aesthetics has a history of excellence in Denver providing nose jobs and facial plastic surgery to clients from all over the country. 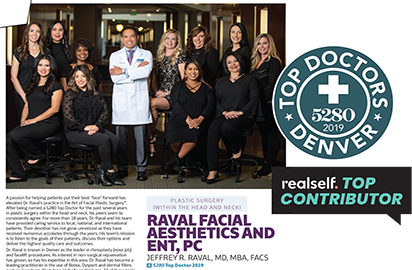 Jeffrey R. Raval, MD, FACS is an experienced and renowned facial plastic surgeon practicing at Raval Facial Aesthetics and ENT, PC in Cherry Creek North. He is also the owner and medical director of Rocky Mountain Laser Aesthetics, located in the same office. He is board certified by the American Board of Facial Plastic and Reconstructive Surgery, the American Board of Otolaryngology / Head and Neck Surgery and a fellow of both the American Academy of Cosmetic Surgery and the American College of Surgeons. 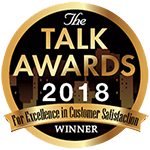 In Denver since 2001, Dr. Raval has been honored with many awards, the 5280 Top Doctor, Plastic Surgery within the Head and Neck 2016-2017, 5280 Denver's Mile High Magazine; the Patients’ Choice Award 2011-2016, Vitals; Most Compassionate Doctor 2013, Vitals; America’s Top Physician 2007-2017, Consumer Research Council; Doctors Choice Award, 2015, Plastic Surgery in Denver; Talk of the Town: Excellence in Patient Satisfaction 2011, 2012; Denver 2012 Award Facial Skin Care & Treatments and many more. When you work with Dr. Raval & his team, you know you are receiving the highest quality of care along with beautiful facial plastic surgery, Botox® and nose job procedures. Let us help you achieve your best look. The office of Raval MD offers a variety of product and services. 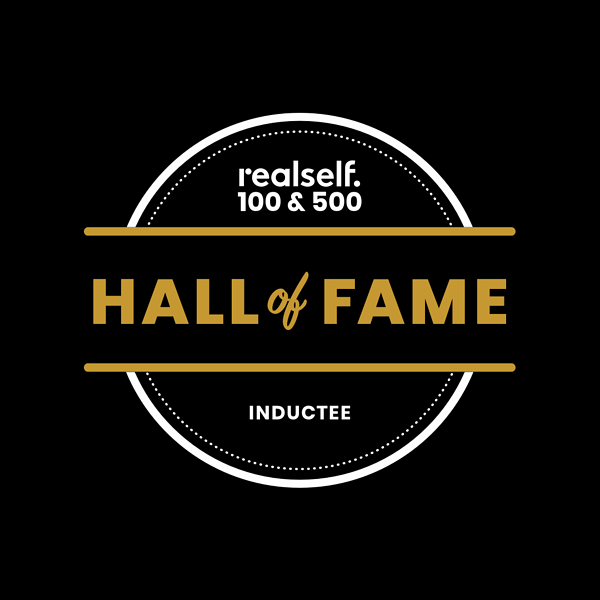 Known in Denver as the leader in Rhinoplasty (Nose Job ), Botox® and facelift procedures, Dr. Jeffrey R. Raval and his team use their years of experience to make you look your best. Facial Aesthetics is our specialty. Please contact us for more information at 303-381-3223 or info@ravalmd.com. Highly regarded for his rhinoplasty surgeries, in particular for his revision rhinoplasty surgeries, Dr. Raval corrects any number of malformations or issues with the nose. Dr. Raval offers a broad range of surgical procedures and rejuvenating services. We are the leader in Denver botox and facelift procedures. Finally, an affordable way to have the skin you’ve always wanted - and keep it that way. Raval MD youthful skin club will help you look your best.